Eileen Bergin is a passionate believer in good food. 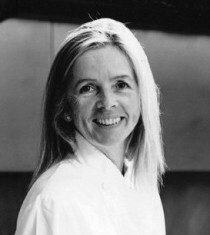 Having trained with some of the best chefs in Europe, she returned to Ireland and in 1987 founded the very popular Butler’s Pantry food shops providing high-quality, fresh, ready cooked food. After steady business growth, there are now nine Butler’s Pantry outlets around Dublin and Wicklow, directly employing 85 people. All nine shops are serviced from the company’s 6000 sq. ft. kitchen facility in Bray, Co. Wicklow. The company now also provides wholesale freshly frozen foods to other independent retailers. Butler’s Pantry has been the recipient of many awards. Eileen is now also embarking on a new venture with her sister to open a new bistro, “The Merrion Tree”, where she will continue to share her love of great food and enterprise with the local community in Mount Merrion, Dublin.